AT exactly 5 p.m. on March 13, 2007, just as I was preparing to leave my cubicle in Washington for the day, I got a phone call from the journalist Jonathan Landay of McClatchy Newspapers. To this day, I remember his exact words. The congressman was Rush Holt, then a Democratic representative from New Jersey, for whom I worked for 10 years starting in 2004. The constituent was Amir Mohamed Meshal of Tinton Falls, N.J., who alleges that he was illegally taken to Ethiopia, where he was threatened with torture by American officials. My “former employer” was the Central Intelligence Agency, but it soon became apparent that the agency “neck-deep in this” was the Federal Bureau of Investigation. Eight years after Mr. Meshal’s rendition, his case ended up before a three-judge panel of the United States Court of Appeals for the District of Columbia. The questions hanging over the proceeding were: can the United States government allow, or even facilitate, the rendition of an American citizen to another country for interrogation? And can United States officials themselves conduct rendition and interrogations of American citizens, including threats of torture, on foreign soil? According to a decision handed down last week, the answers appear to be yes. If this decision stands, it will mean that an American citizen overseas who is unlawfully targeted by the United States government for rendition, interrogation and detention with the help of a local government will have no form of redress in the courts. Mr. Landay’s 2007 phone call triggered Representative Holt’s involvement — and thus mine — in Mr. Meshal’s case. 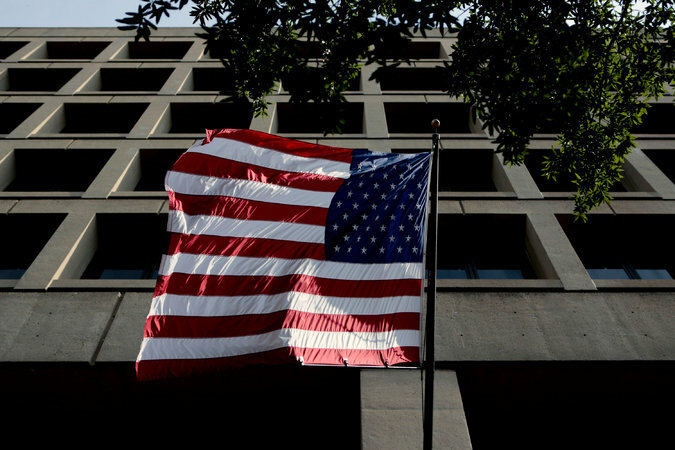 For months, I was on the phone daily or conversing via email with representatives of the F.B.I. and the State Department, trying to piece together how he ended up being held in a jail cell in Ethiopia. Mr. Meshal had originally traveled to Egypt in 2005 to visit family members, but subsequently went to Somalia, ostensibly to provide humanitarian aid to what was then known as the Islamic Courts Union, the Islamist rebels opposed to the existing pro-United States Somali government. After the Ethiopian government helped drive the I.C.U. into retreat, Mr. Meshal was caught up in a wave of refugees who fled to neighboring Kenya, and was detained by Kenyan authorities in early January 2007. After being interrogated by F.B.I. agents in Kenya, Mr. Meshal was rendered by Kenyan authorities back to Somalia, and then handed to soldiers who took him to Ethiopia, a country he had never visited. At the time, State Department officials in Kenya formally protested the Kenyan government’s rendition action. However, F.B.I. agents were able to almost immediately gain access to Mr. Meshal in Ethiopia. In my mind, that raised the very real prospect that either the F.B.I. or another element of the United States intelligence community asked its Kenyan counterparts to ship Mr. Meshal to Ethiopia for further questioning. Mr. Meshal said that during his ordeal he was interrogated more than 30 times by American officials, who continually accused him of receiving terrorist training at Al Qaeda camps. They denied his requests for access to a phone so that he could contact a lawyer and, he says, frequently threatened him with torture and told him that he would “disappear” if he didn’t cooperate. After Representative Holt waged a campaign to have him freed and reunited with his family, Mr. Meshal was released in May 2007 and returned to the United States. To this day, Mr. Meshal has never been charged with a terrorism-related offense by the United States government. In 2009, Mr. Meshal sued four F.B.I. agents who he claimed had detained and threatened him, violating his Fourth and Fifth Amendment rights. Mr. Meshal’s attorneys sought relief through what is known as a Bivens claim, which is based on a 1971 Supreme Court case in which the court found that American citizens could seek monetary damages for violations of the Fourth Amendment. Obama administration lawyers argued that Bivens did not apply to Mr. Meshal’s case because the incident took place overseas and involved unspecified “national security” concerns. Both the district and appeals courts that have thus far heard Mr. Meshal’s case have accepted the government’s framing of the case and denied his claim. They have also argued that Congress has never created a specific tort cause of action — essentially, a legal basis to sue — for Americans wrongfully detained in the so-called war on terror. These arguments are legal dodges that deny Mr. Meshal his constitutional rights and institutionalize detention and rendition. Using the cloak of “national security” is particularly egregious since Mr. Meshal has never been charged with any federal crime. That certainly seemed to be the view of Judge Nina Pillard, the dissenting voice in the appellate court’s opinion. Mr. Meshal will almost certainly have to take his case to the full Circuit Court of Appeals for the District of Columbia; it is highly unlikely the Supreme Court would even consider the case otherwise, assuming Mr. Meshal loses on appeal. Mr. Meshal has fallen into a legal black hole, where the light of justice is extinguished in the name of national security. The appellate court decision means that American citizens have no means available to hold the government accountable for violating their constitutional rights, simply because the United States conveniently denied those rights in another country of its choosing. Patrick G. Eddington is a policy analyst specializing in homeland security and civil liberties at the Cato Institute.